Discover the backstage of cinema in Seine Saint Denis! Discover the thrills of cinema in Seine-Saint-Denis! Cinemas and outdoor screening sessions, Seine-Saint-Denis invites you to discover a truly unusual cinematic landscape. Boasting a strong cinematic identity, Seine-Saint-Denis has many cinemas some of which are named after the famous names in cinema: Georges Méliès, Emile Reynaud or Fréres Pathé. Choosing one of the cinemas in Seine Saint Denis: (Cinemas 93, Geode...) you are sure to find a wide program and various festivals and events that will delight every film lover. Join the International Festival “Génération Court” sponsored by the French director Luc Besson, the outdoor cinema festival at La Villette, the short film festival, the place that promotes future creative talents or also the Paris Cinema Festival. The latter has become the unique essential international rendezvous to discover the latest international productions on the big screen. You can also take part in the visits of Cité du cinéma located at Plaine Saint-Denis, a site devoted to the production of films where Luc Besson has set up his Paris studios. This venue is also used for training courses in cinema such as the Louis Lumière school. 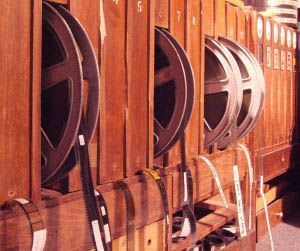 For the more curious among you, go on a cinema tour during which you will discover the major sites where French films were made and the general history of cinema in Seine-Saint-Denis. > List of Cinemas in Seine-Saint-Denis (including the New Méliès in Montreuil). > List of films made in Seine-Saint-Denis. > Studios Éclair in Epinay-sur-Seine. > Cité du cinema the former power plant located in Saint-Denis.